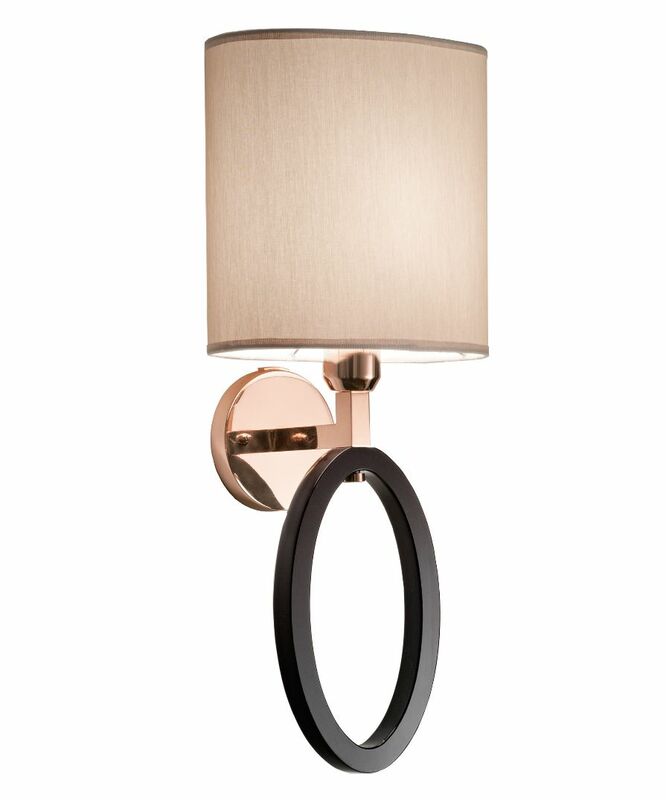 A chic and contemporary wall light with its statement black plexi-glass ring, finished in a beautiful rose gold patina. This wall light comes with a stone coloured chinette shade. Other finishes available.